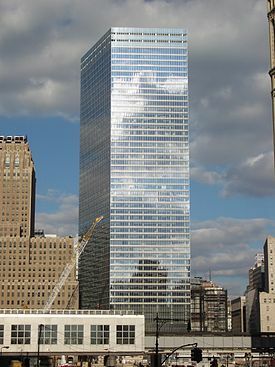 7 World Trade Center is a building in Lower Manhattan, New York City. It is part of the new new World Trade Center complex and was completed in 2006. 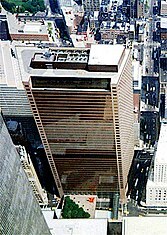 The original 7 World Trade Center was in the same place, was completed in 1987 and destroyed on September 11, 2001 along with the other buildings in the World Trade Center. This page was last changed on 11 March 2019, at 19:11.